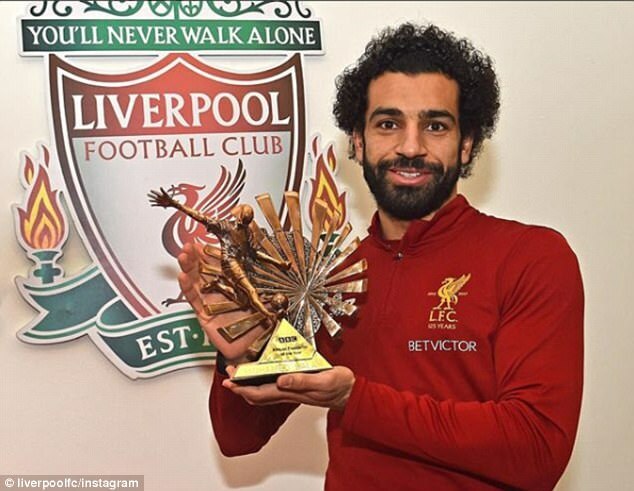 Mo’ Salah is BBC African Footballer of the Year…. Egyptian Mohamed Salah has been voted BBC African Footballer of the Year for 2017. Following a record number of votes, the Liverpool star won ahead of Gabon’s Pierre-Emerick Aubameyang, Guinean Naby Keita, Sadio Mane of Senegal and Nigeria’s Victor Moses. “I am very happy to win this award,” the 25-year-old said. “It’s always a special feeling when you win something. I feel like I had a great year, so I’m very happy.” Salah, the Premier League’s top scorer with 13 goals, has enjoyed a stellar year for both club and country. In early 2017, the forward was the central figure for Egypt as they finished runners-up at the Africa Cup of Nations. He also had a hand in all seven of the goals that took the Pharaohs to their first World Cup since 1990 – assisting two and scoring five, including the stoppage-time penalty against Congo that qualified them for Russia. ← Mourinho annoys City players, gets manhandled….